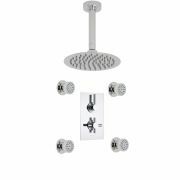 This traditional thermostatic shower system from Hudson Reed is an ideal option to deliver a touch of elegant class to any bathroom. 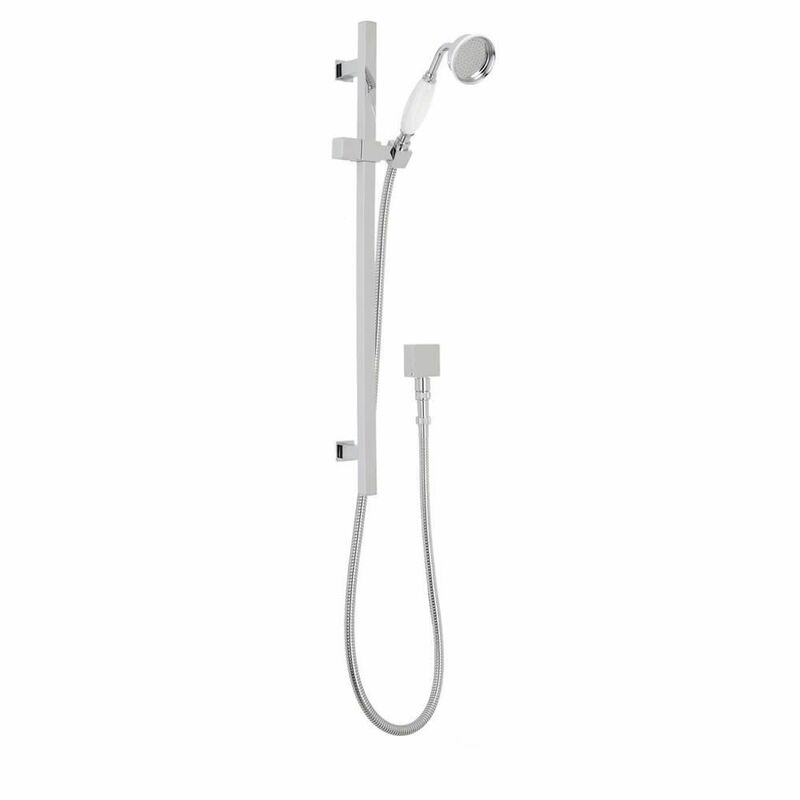 Providing a refreshing showering experience, the shower kit is supplied complete with a 12” apron shower head and arm, in addition to a slide rail kit and handset, and a diverter valve. Exclusively manufactured in Great Britain from solid brass, the included thermostatic shower valve delivers water at a pre-set temperature to either outlet. The valve also incorporates an in-built anti-scald device for total peace of mind, and utilizes ceramic disc technology for smooth and precise control over water flow and temperature. You may return your order within 30 days of purchase for any reason, though please note that you may have to cover the cost of returning the product. All returned items must be in their original condition, and include all original packaging, accessories and installation guides. The ideal shower is one that awakens your senses and leaves you feeling refreshed and ready for the day ahead. 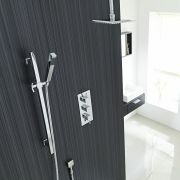 Therefore, it is imperative you opt for a shower system which meets all of your specific preferences and requirements. Hudson Reed offer an expansive selection of luxury showers in a wide variety of modern and traditional designs, each of which are characterized by their unrivalled practicality and boundless aesthetic appeal. 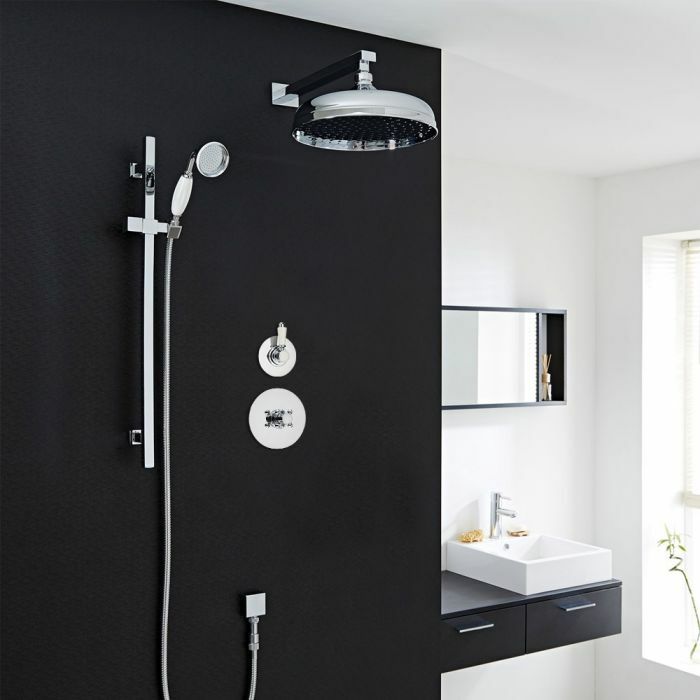 Our impressive collection spans an endless choice of models supplied in a vast array of shapes and sizes, ensuring there is an ideal shower to suit every need. 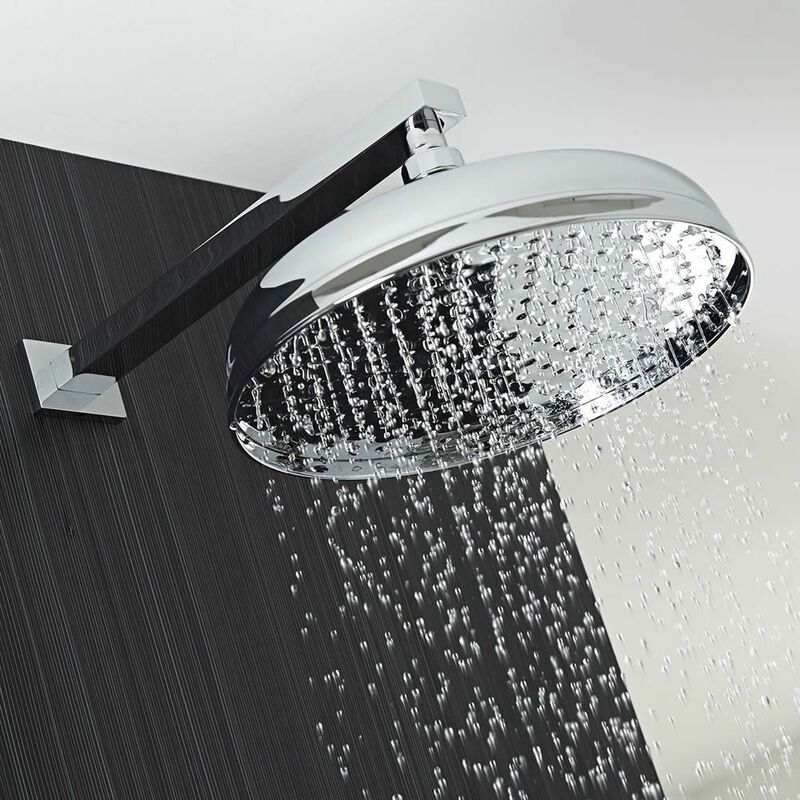 All Hudson Reed showers are supplied complete with a thermostatic cartridge, which helps to make sure your system always operates at a safe temperature, and assists the prevention of accidental scalding. Our showers feature a pre-programmed temperature of 100°F which can be manually modified, making them an ideal choice for any family home. 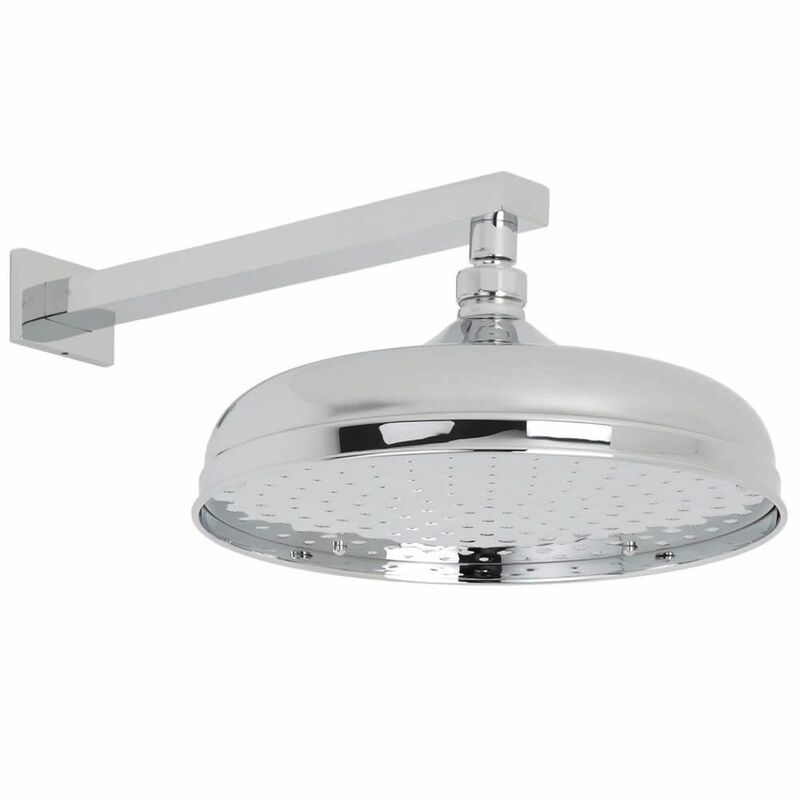 You should always make sure you have easy access to the inside of the shower in case any maintenance work ever needs to be carried out, and for instances where your shower mixer requires cleaning. Thankfully, Hudson Reed’s range of thermostatic cartridges are highly resistant to the accumulation of limescale, and each of our showers are accompanied by a 10-year guarantee. 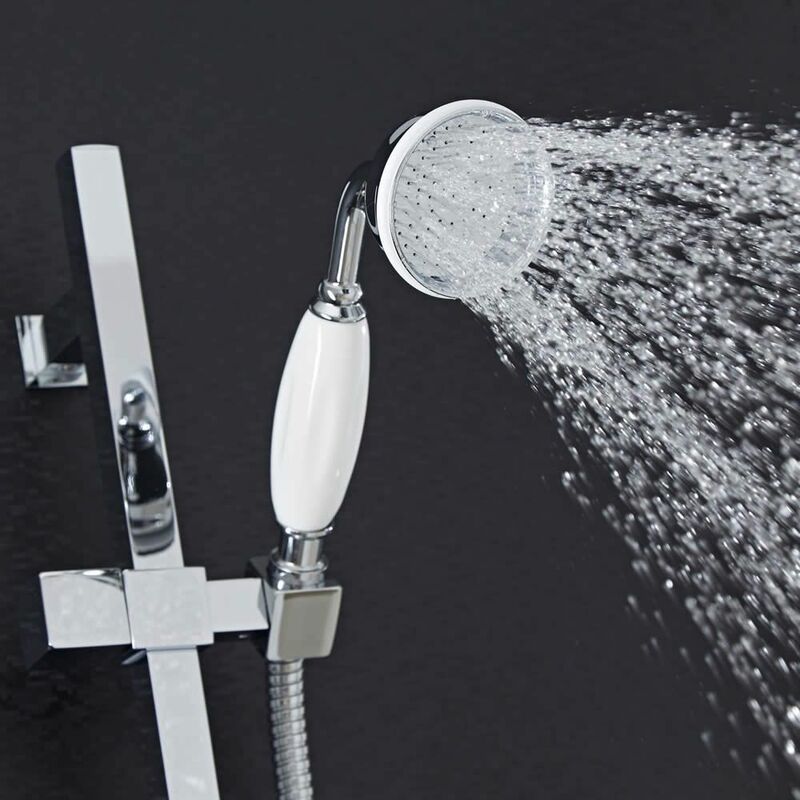 Hudson Reed shower systems, heads and faucets are designed to work at a wide variety of temperatures and pressures and are compatible with almost all hot water systems, from combi boilers and unvented systems to gravity-fed boilers. Every Hudson Reed shower product states the needed system requirements, and can be combined with shower pumps to ensure a superior showering experience.